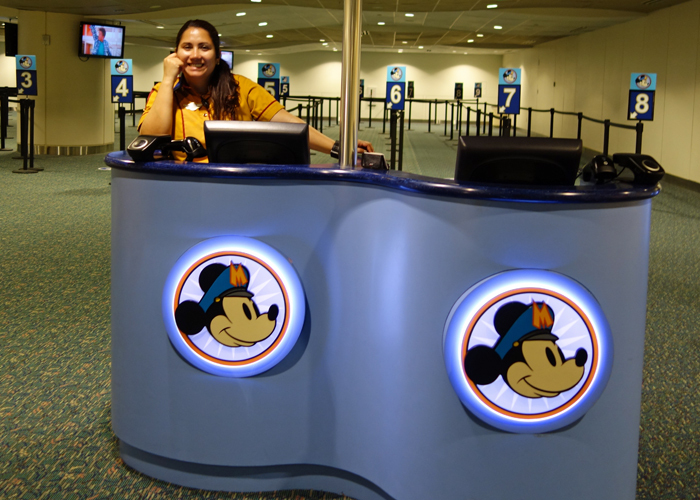 Guests of a Walt Disney World Resort hotel can save money and skip long lines at the car rental counters by using the Disney Magical Express. 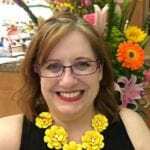 Kid at Heart TravelingMom Kuleen guides you through each step of the process from reservation to your return home. 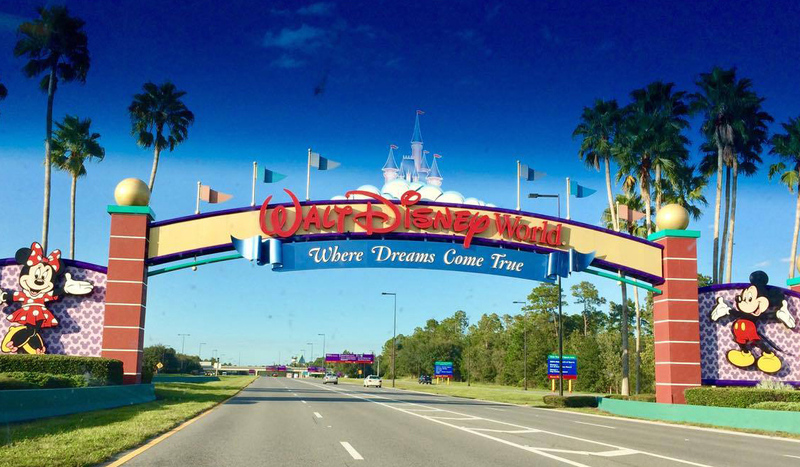 Are you planning a trip to Disney World? Don’t make a Disney Magical Express $80 Mistake like TravelingMom Julie Bigboy. Read these tips, sit back, relax, and let Disney do the driving! 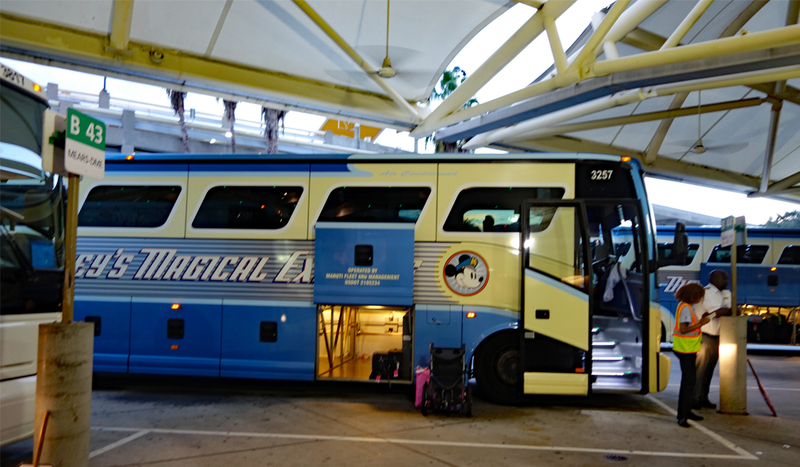 The Magical Express is a free airport shuttle service available to all guests of a Disney World Resort hotel. In addition to transporting guests, the service picks up your luggage at the airport and delivers it directly to your hotel room. 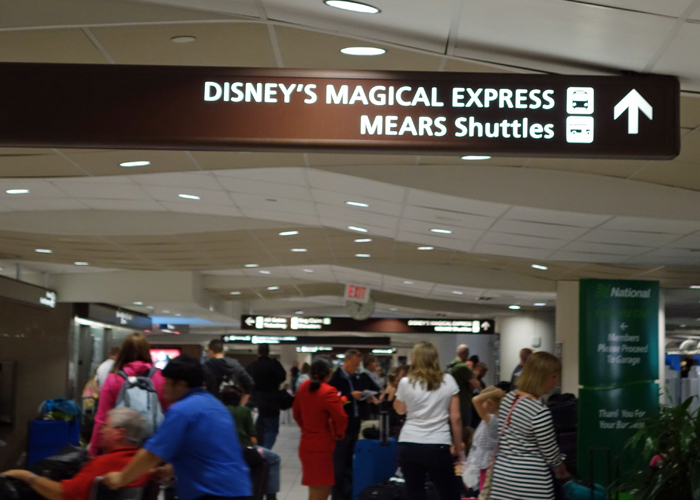 The service operates only from the Orlando International Airport (MCO). Luggage will be picked up and delivered for you if your flight arrives between 5 a.m. and 10 p.m. If you arrive outside of those hours, you will need to pick up your bags from luggage claim and bring them with you on the motorcoach. Once your flights are booked, it is time to reserve the Magical Express. Contact your travel agent with your flight plans or call Disney at (407) 939-1936. Disney will mail you special Magical Express luggage tags. Attach the tags to all the luggage you plan to check at the airport. You DO NOT need to attach the tags to your carry-on luggage or any luggage you want to pick up at baggage claim and bring on the Magical Express motorcoach. Your luggage will arrive anywhere from a couple to several hours after you get to your resort. So make sure you do not pack anything in your checked bags that you will need during that time. We learned this lesson the hard way when our luggage didn’t arrive until midnight – almost eight hours after our flight. My son got sick all over himself and my husband, and we had no new clothes. We also didn’t have pull-ups for my daughter to wear to bed. Do not pack your MagicBands. 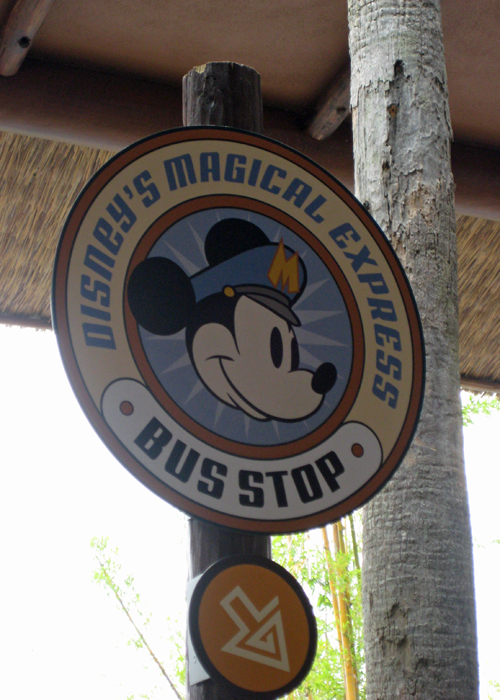 You will need those to check in for the Magical Express and get into your room at the resort. If you didn’t get your MagicBands before leaving home, make sure you have your reservation information on your phone or carry-on luggage. TravelingMom Tip: If this is your first trip to Disney, TravelingMom Sherry Boswell has a Disney Packing List for you to follow. Double check to make sure you did not pack your MagicBands. You will need them to ride the Magical Express. If you have Magical Express tags on your luggage, you are done! The next time you will see your luggage is at your resort. If your bags don’t have tags, but you still want them to be delivered by Magical Express, hang on to the claim stubs. You will need to give them to the cast member when you check in for the Magical Express in Orlando. The Magical Express is located on LEVEL 1 of SIDE B. When you get off your plane, follow the signs for the baggage claim. 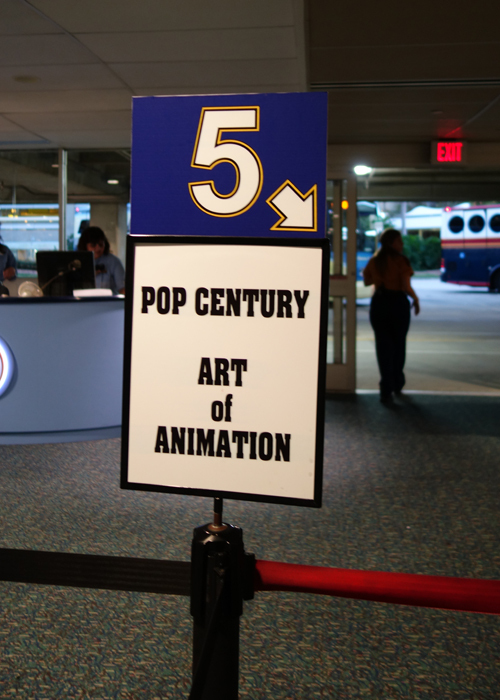 Most people will need to ride a monorail from the gate area to the baggage claim area. After exiting the monorail, pay attention to the signs and head to SIDE B. This may not be the same side as the baggage claim for your airline. When you are on Level 1, follow the signs for the Magical Express. It is located all the way down at the end of the building. TravelingMom Tip: If you do not see any signs, you may be on the wrong side. If this happens, you will need to go back up to Level 2, walk over to Side B, then go back down to Level 1. Sadly, I know this from experience. As you approach the Magical Express area, there should be a Disney cast member checking to make sure you have your MagicBand out and ready. Let him know if you did not receive your MagicBands before your trip. He will direct you to a check-in counter where a Cast Member will scan your MagicBand and look for your reservation. Note: They only need one MagicBand from your party. They will confirm your resort and verify your return Magical Express information. 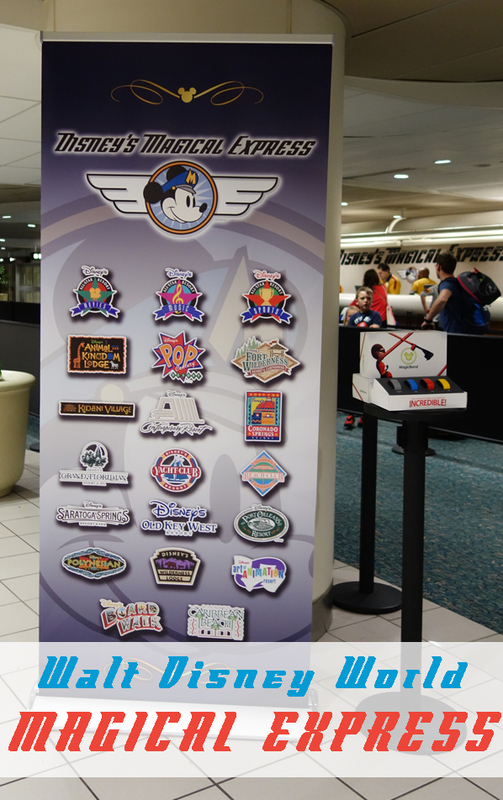 If you didn’t get your luggage tags before your flight, tell the cast member at the check-in desk and give them your luggage claim tags from the airline. They will enter the numbers into the Magical Express system, and cast members will deliver your luggage directly to your room. Once you are checked in, the cast member will point you to the appropriate queue for your resort. You will stand in the queue until the bus is ready for boarding. Cast members will recheck your MagicBand (again, one per party) before directing you to a bus. You may have to wait on the bus for 15-30 minutes so it can fill before departing. Sit back and enjoy the ride! 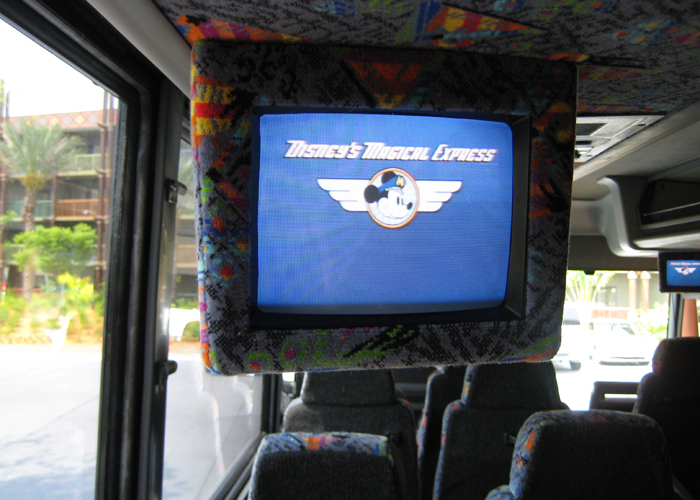 Disney cartoons and videos about Walt Disney World entertain you during the trip. Your bus will probably stop at multiple resorts, so make sure you get off at the correct one. It is appropriate to tip your driver, especially if he helped with your baggage, strollers, etc. The day before you leave, Disney will hang an envelope on your doorknob with information on your return trip to the airport. For domestic flights, the Magical Express will pick up around three hours before your flight. For international flights, the pickup time will be earlier. Plan to be at the “Tragical” Express bus stop with all of your luggage at least fifteen minutes before your reservation time. The Magical Express will not wait for latecomers. The bus will drop you off on the lower level of the Orlando International (MCO) airport. Make sure to retrieve any bags stowed under the bus. In the airport, you will need to go up to Level 2 to check bags and go through security. TravelingMom Tip: The Orlando airport security lines are long. Make sure everyone makes a stop at the restroom before entering the security area. Enjoy your trip to Walt Disney World, and buy lots of souvenirs with the money you saved by using the Disney Magical Express. Nice article. I went down to terminal A by mistake once too. Lol. I hate to admit that I have mistakenly gone to terminal A on multiple occasions. Wow 3hrs before my flight that’s super early. Is it possible to ride the Magical Express and take our luggage with us? Let’s say we arrived at the airport after 3pm (which is the check in time) and we went to claim our luggage from the belts. Do we need to book which time we will be taking the bus? How do you know what time the bus arrives.